Not that kind of quickie you naughty thing. Although I must admit it is similarly filthy. Last weekend, two of my favourite girlfriends and I boarded the train for a day in the big smoke; it had been far too long since all three of us had been together and so, in the name of good times, laughter and quite naturally, food, a day in London was arranged. Perhaps I’ll indulge you in the anecdotes of our fleeting visit some other time; but for now, I’ll share with you a totally bodacious bar-come-eatery where you can kick back and refuel, should you ever find yourself in need of a cocktail and a good feed whilst swanning around London. 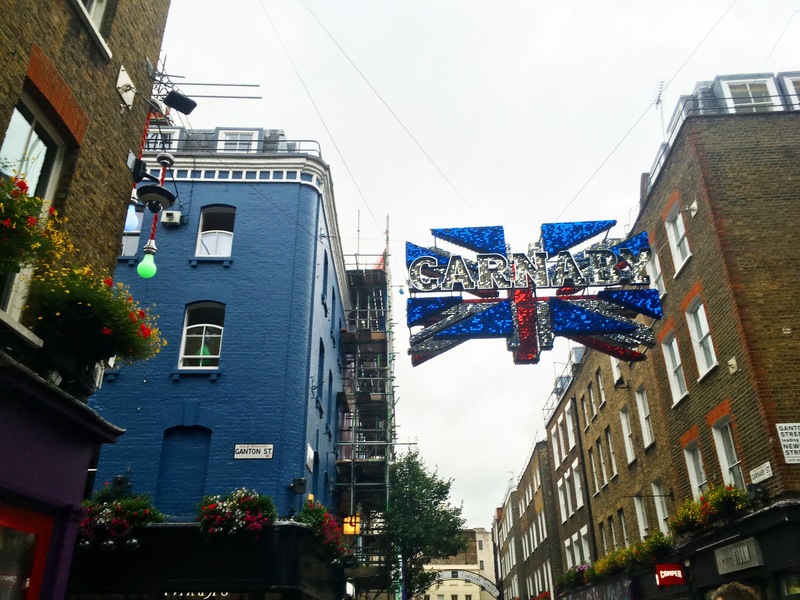 After many an hour spent shopping the streets of Camden, Knightsbridge and everywhere in between, eventually we were inevitably drawn to the vibrant bustle of Carnaby Street. Following our noses, we unsurprisingly found ourselves in Kingly Court; a paradise of sorts for a trio of foodies such as ourselves. We tinkered up the stairwell and feasted our eyes upon menus of the many restaurants which grace the court. We “Umm-ed” and “ahh-ed” over each potential suitor until last but not least, we were enticed by the sweet low and slow smells which poured from the open windows of Dirty Bones. The decor assured us we were in the right place. Taking a seat, we ordered up exactly that; cocktails aplenty, and happiness in the form of comforting American fare. Brisket and dry aged steak patty, black treacle bacon, gorgonzola sauce, baby spinach and chipotle aioli. It didn’t completely rock my world; the burger could have been slightly juicier and the bacon slightly sweeter by comparison, but it held its form and was full of satisfactory savoury flavour. The sides however, were real show-stealers. Cheesy truffle fries; the chips piping-hot, fluffy yet crunchy and featuring the creamiest of cheese sauces with melted cheddar, aged parmesan and white truffle oil. Order more to share or see yourselves fork duelling over the scraps as we did. The mac and cheese is somewhat life-changing. Softened macaroni slathered in a cheese sauce made from taleggio and smoked cheddar and topped with crunchy parmesan breadcrumbs. The lack of mozzarella messiness is more than made up for by the velvet-soft, oozy texture; devilishly luxurious and beautifully creamy. The final flourish of our well-received carbicide was the fun-time frolics we had with the staff. 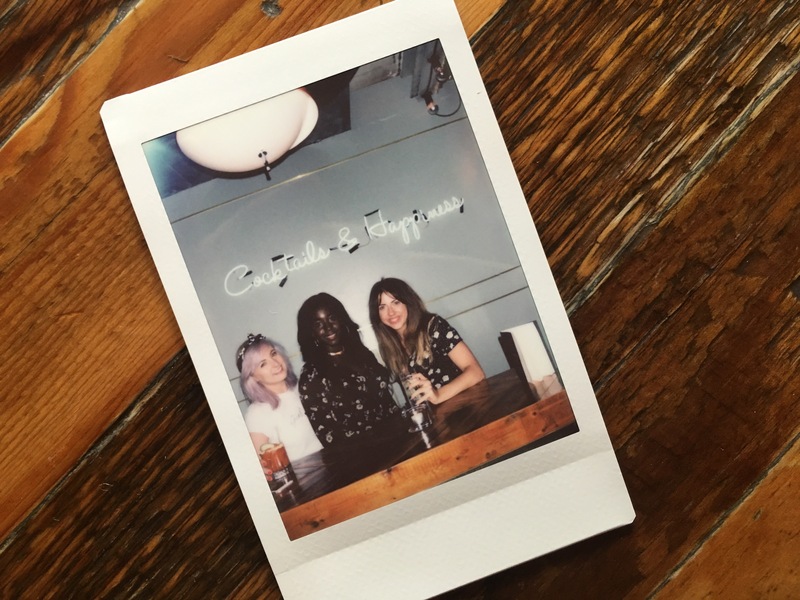 Hayley and Katrina, in particular, were every bit as show-stopping as the food; making time to chat, recommending their favourite tipples and just being genuinely good-time gals. Service so genuine, we saw it necessary to really cement the friendship. If you fancy yourself a similarly fabulous experience with the good folk at DB, book here. Word on the street is that weekend showcases a killer bottomless brunch. Dirty Bones, you’ll be seeing us again.